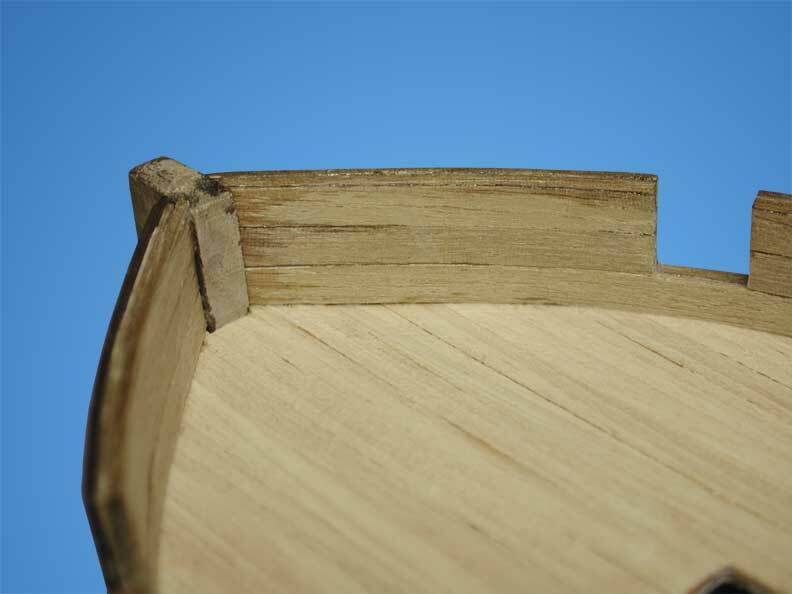 JoTiKa Ltd. ~ HM Schooner Pickle Construction Page 6. The deck planking. 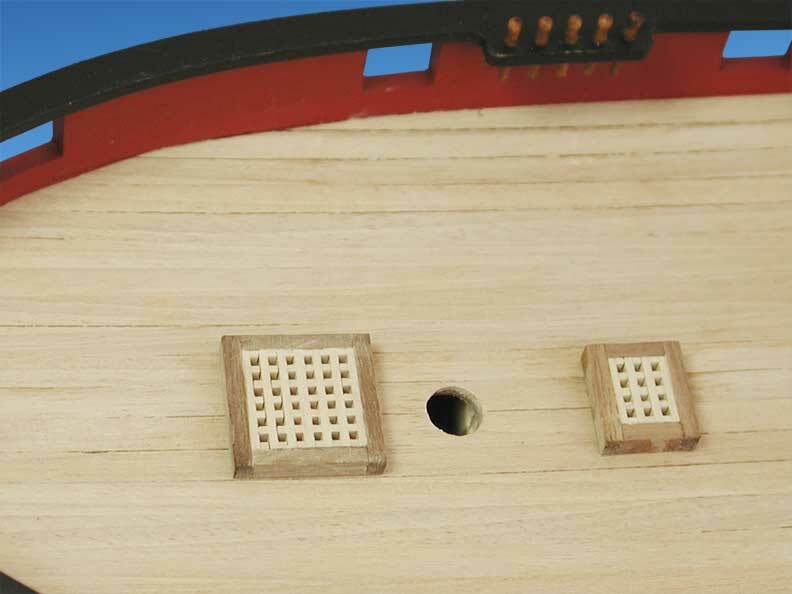 The first planks are laid one either side of the deck centreline and progresses outward until flush against the gunport pattern. The inner bulwark planking. 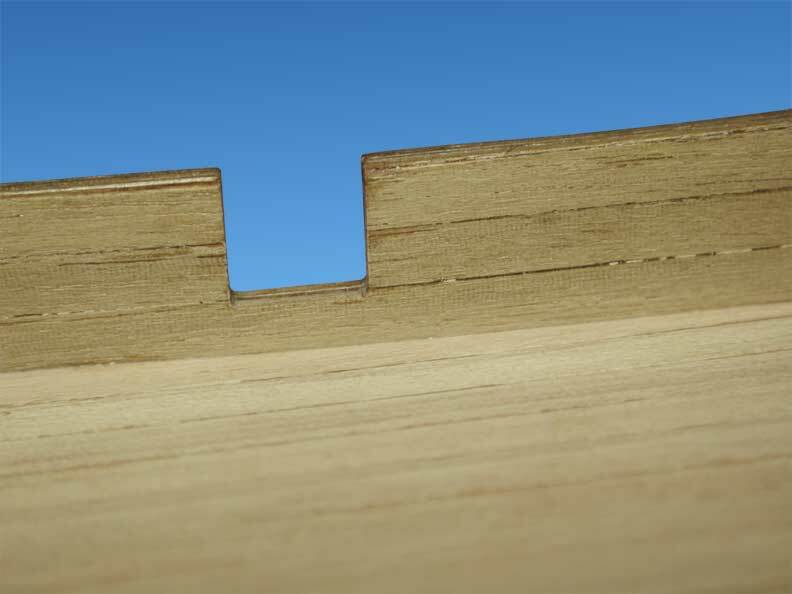 The first plank is positioned to run fore-and-aft flush against the deck planking. 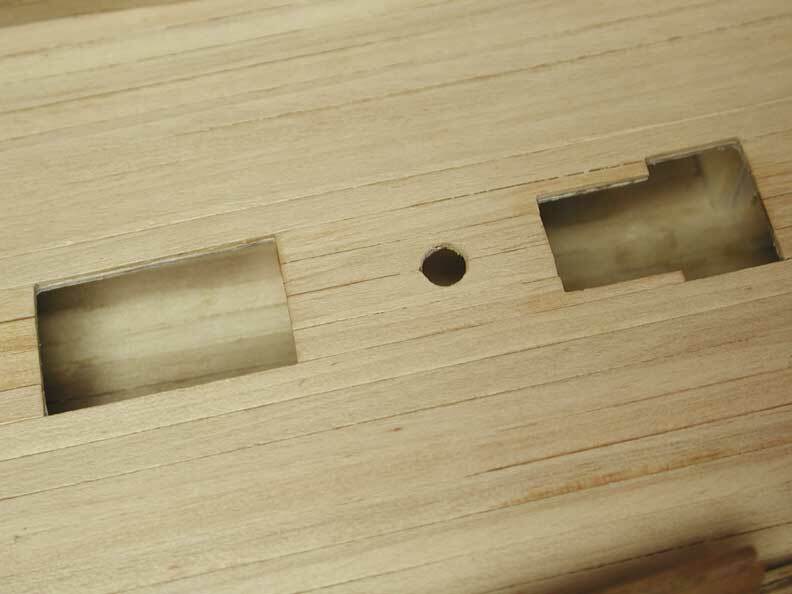 Subsequent planks are laid until flush with the upper edge of the gunport pattern. 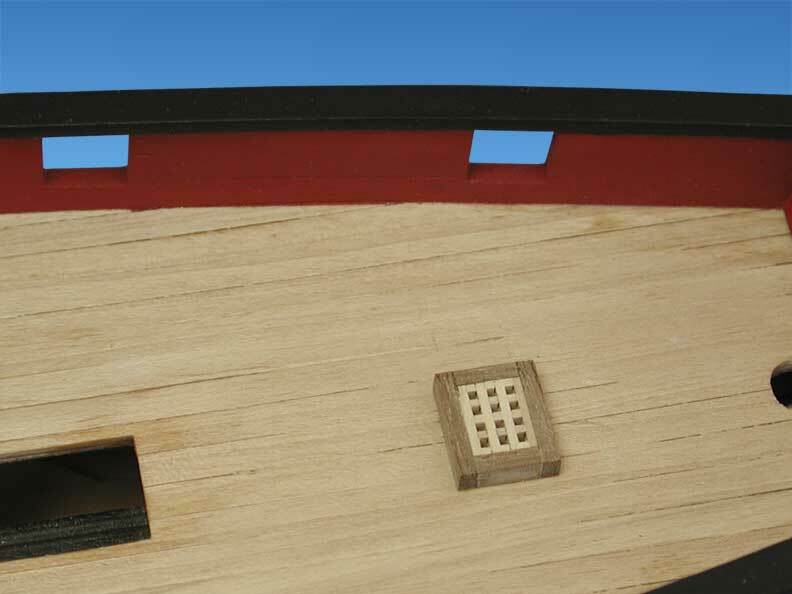 The deck planking and inner bulwark planking terminate, at their after ends, flush against the forward face of the stern fascia. All pre-cut deck openings, for companionways, hatches, skylights and masts, should be cleared as the deck planking progresses. 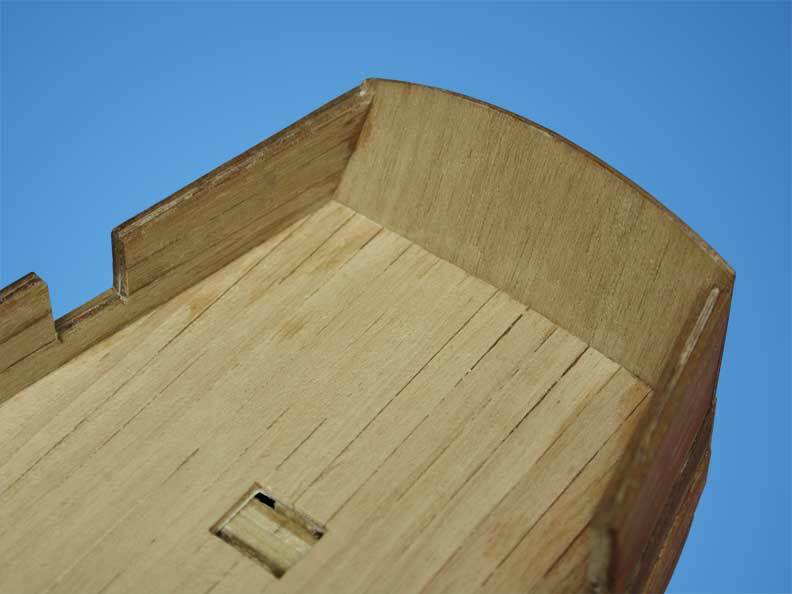 The forward companionway and fore hatch lined and fitted with gratings. The main hatch lined and recessed ready to accept the main hatch cover boards. After hatch lined and fitted with a grating. 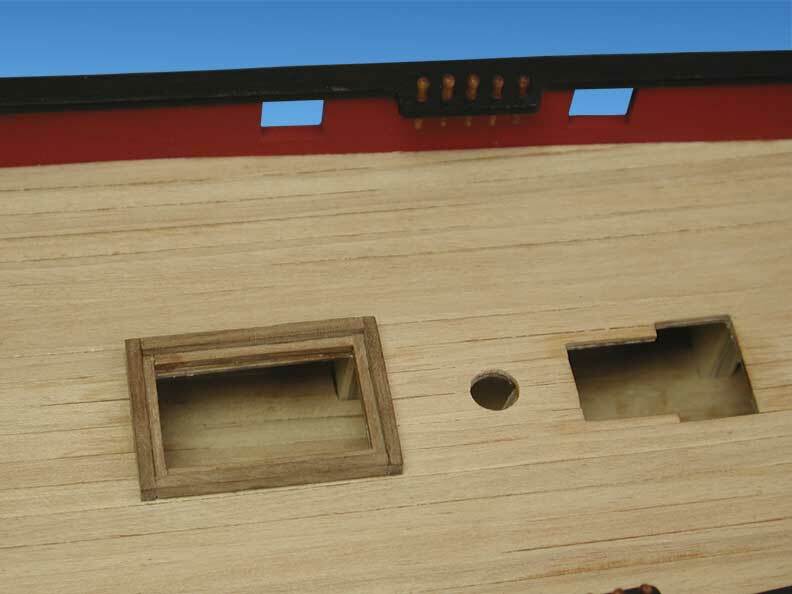 Plan view showing the deck layout,complete with capping rails, belaying racks and channels.